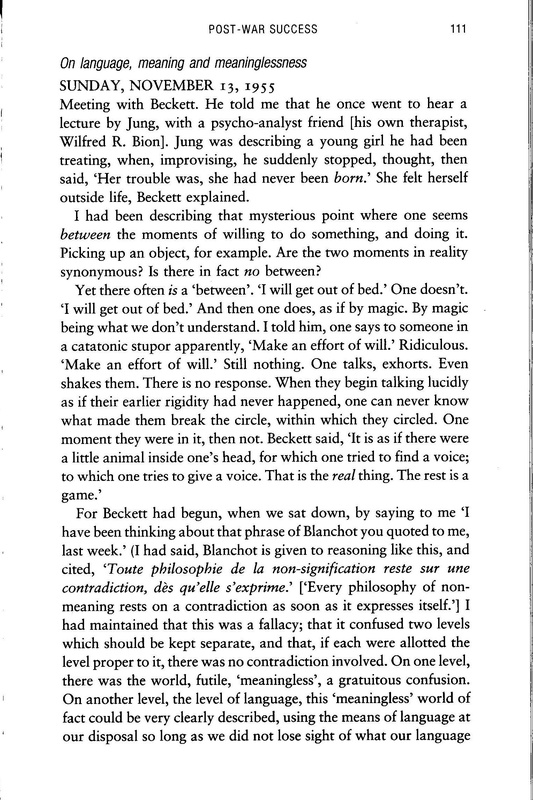 conversation between Samuel Beckett and Patrick Bowles | who's that knocking...? 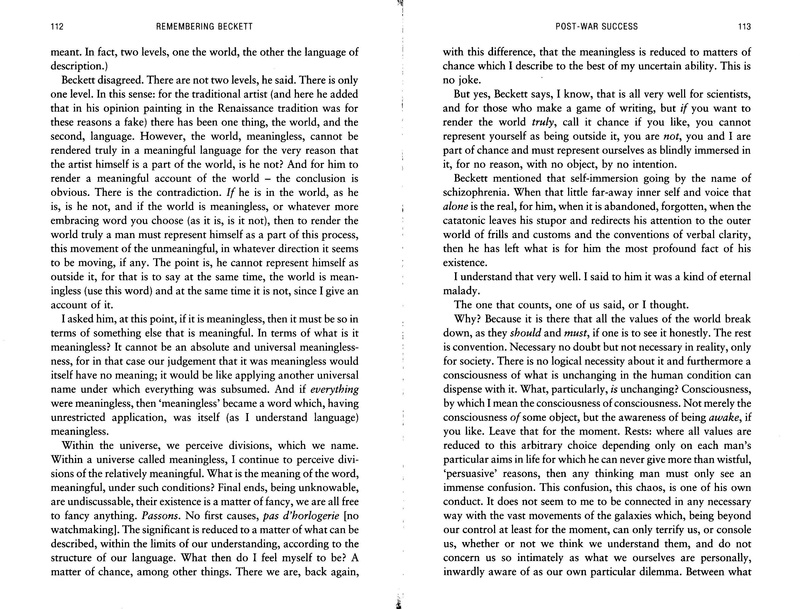 This entry was posted in diary, writing and tagged language, meaning, meaninglessness, Patrick Bowles, Samuel Beckett. Bookmark the permalink.